Today, the Congressional Black Caucus issued the following statement on why a majority of the 49-member caucus recently voted in favor of calling for Attorney General Sessions to resign. The caucus vote was held before Friday’s report strongly suggesting that Attorney General Sessions has once again violated the public’s trust. “Every day the Department of Justice prosecutes people for lying under oath, yet the man who leads the department has lied under oath on more than one occasion. “First, he told the Senate under oath that he did not meet with Russian officials during the 2016 presidential election, and then, after reports contradicted that claim, he told the Senate that he did meet with Russian officials, but that he didn’t talk with them about the campaign. On Friday, we learned that the latter claim is likely false. 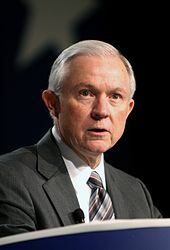 “In addition, although Attorney General Sessions has recused himself from the Trump-Russia investigation as a result of having conflicts of interest, he violated that recusal when he recommended that President Trump fire former FBI Director James Comey who had, shortly before being fired, requested more resources to investigate any and all ties between President Trump, his presidential campaign, and Russia. On March 2, CBC Chairman Cedric L. Richmond called for Attorney General Sessions to resign after reports confirmed that he lied under oath about meeting with Russian officials during the 2016 presidential campaign. However, today’s statement represents the views of a majority of the caucus he leads.